Dunks Bay is a bit of anomaly when it comes to beaches on the Georgian Bay side of the Bruce Peninsula; it's sandy. But much like elsewhere along Georgian Bay the waters are deeper and clear, especially when you compare them to beaches along Lake Huron. 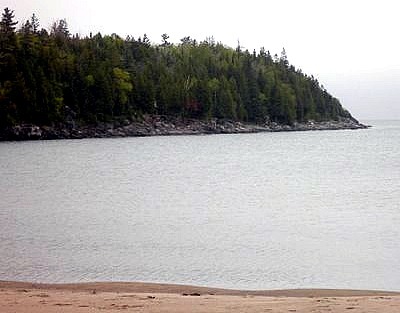 Dunks is just a short drive southeast of Tobermory, the tip of the Bruce. When I was a tween staying in Tobermory we used to come to Dunks Beach when it was rough, put on life jackets and just bob in the waves. The water is much deeper here than compared to Dorcas Bay on the Lake Huron side which is very shallow. But the sand is white and there is public access. 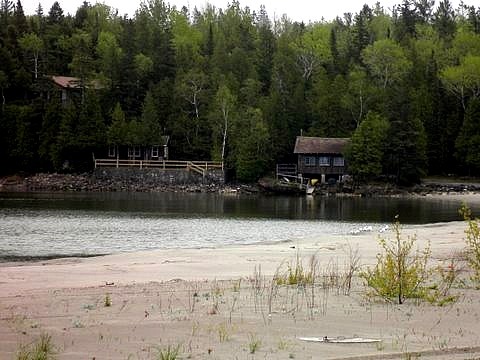 That said Dunks Beach is one area where the cottage owners own all the way to the waterfront so mind the local cottagers! Stay in the water to avoid too many misunderstandings. 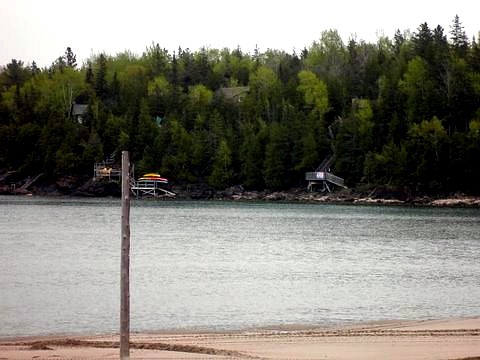 In addition to beach goers the area has become a popular launch site for kayakers, likely because it is much easier to launch from the sand than uneven rock faces. 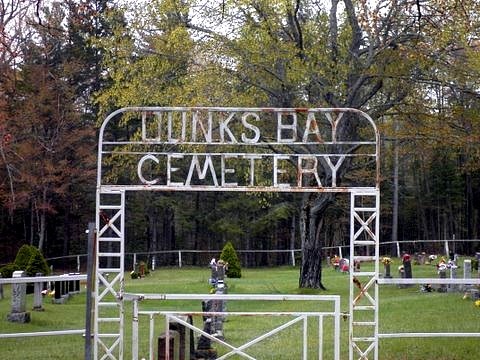 You might notice the Dunks Bay Cemetery when you are looking for parking for the Beach. This cemetery is still in use for the municipality but I thought the entrance was unique! There is also a special entrance to the cottages. Marked by limestone pillars and identified as Almack Beach, this is a private lane way so keep that in mind before you go exploring. This sandy beach area is a great alternative to all the limestone and slate that you find around Tobermory. But keep in mind that these waters are still Georgian Bay which means they are deep and cold. Depending on who you are going beaching with you might want to check out nearby Dorcas Bay which is great for inexperienced swimmers and young children. Return HOME from Dunks Bay.